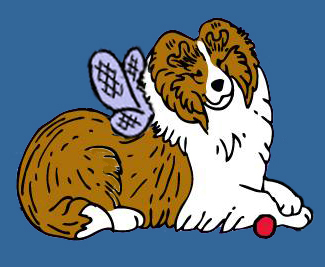 Sheltie Nation | Archive | Water Shelties? Wet puppy paw thanks to Dan H.
….because they swallow Shelties whole and transport them to anonther dimension. Chelsie apparently didn’t get the memo that Shelties don’t like the water. Coming up on Lifestyles of the Sheltie Rich & Famous…Chelsie by the poolside. Thanks to Marsha L. for sending !